The West Central Assocation of REALTORS® employs two staff members, who are overseen by the WCAR Board of Directors. Staff is directly responsible for the day-to-day services provided to our membership in the form of the Multiple Listing Service, educational offerings, the monthly newsletter, the Homes Plus magazine and various information updates and support services. Staff is also available daily to assist the general public with location and contacting member agencies, processing public complaints and answering general questions regarding the home-buying and selling processes. 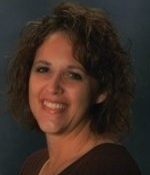 Sue Blumhoefer been involved in real estate management since 1998. 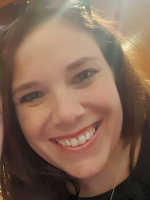 For ten years she worked as an office manager for a real estate company in Willmar and was responsible for day to day office management, along with training new agents and customer service. In 2008 She started with the West Central Association of REALTORS as the MLS Coordinator and in 2009 added education coordinator to her responsibilities. In May 2011 she was promoted to CEO of the West Central Association of REALTORS in charge of Member services, education programming, MLS management and Member support. In 2015 she received the RCE Designation (Realtor Certified Executive) from the National Association of REALTORS. Maggie has been with WCAR since 2013. She provides training for new agents and member support helping members navigate Flex and other parts of the MLS, as well as other day to day operations within the association. Before starting with WCAR she worked as a CNA in a local nursing home. She grew up and still lives in the Kerkhoven area with her family. Outside of the office she enjoys spending time with her family, camping, fishing, watching baseball and spending as much time as possible in Duluth.